Spring is in the air and Mother’s day is fast approaching (well here in the UK it is anyway). So I wanted to make a cake that was all about spring flavours something fresh and light and something that was just perfect for afternoon tea for Mothers day. So I thought I would share one of my mum’s recipes. And this is a lovely zesty cake that will hit the spot for everyone’s mum. 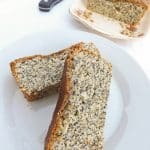 Essentially this is a lemon drizzle cake with the addition of poppy seeds, which I just love because it adds a lovely sweet crunchy texture to every bite. 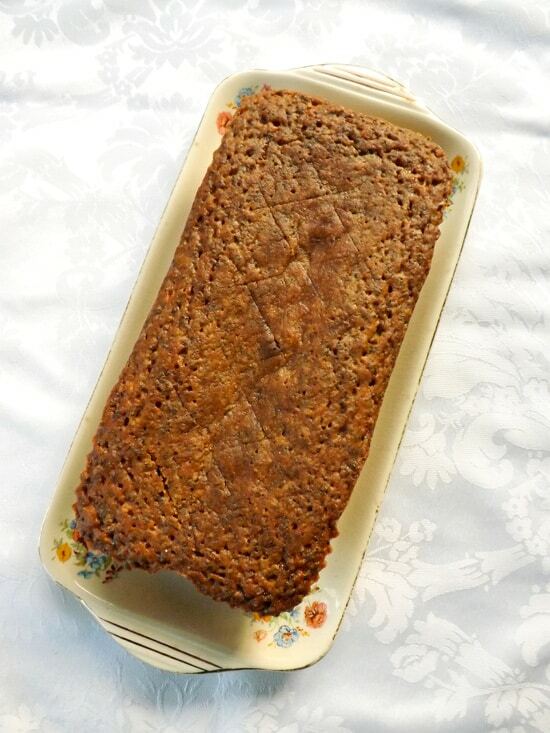 So far I have only shared a few of my old family recipes, my Nan’s banana cake, my mum’s cheese scones, my mums sticky gingerbread are a few of them but there are plenty more to come. 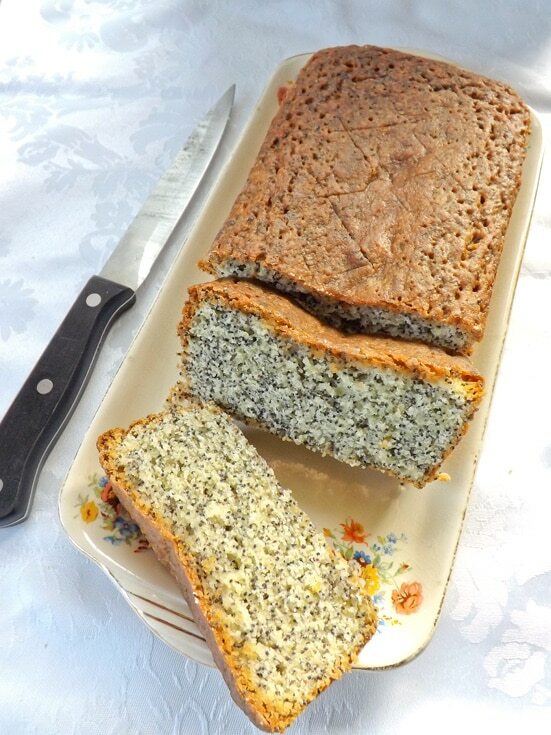 I love old family recipes there is something so comforting about them and they always taste the best. Just like this cake. 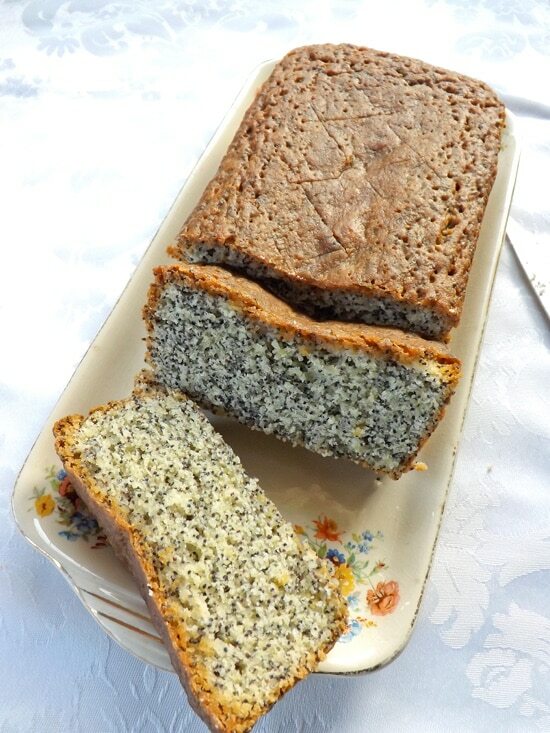 The loaf itself is flavoured with finely grated lemon zest and once baked but still warm the cake is covered with a lovely warm lemon syrup. Which seeps into the cake giving it even more of a lemony punch. And helps to give this cake a fresh zesty very thin lemon coating. 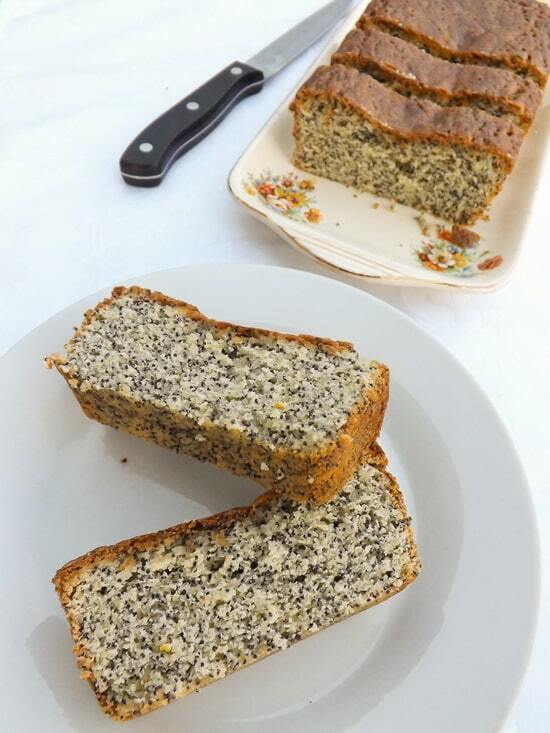 A lovely loaf cake flavoured with lemon and poppy seeds. Preheat your oven to 180C / 350F / Gas mark 4 and line or lightly grease your loaf tin and pop to one side. In a small saucepan melt the butter, sugar and lemon zest together until the sugar has just dissolved. Then place to one side to cool to just about room temperature. 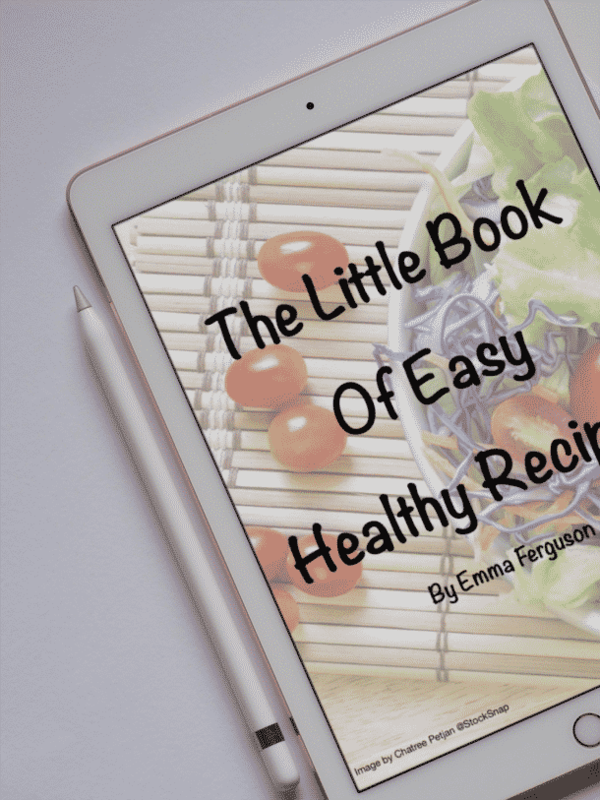 In a small bowl whisk the egg then add to the melted butter, sugar and lemon mix and whisk everything up together until well combined. Transfer to a medium mixing bowl. 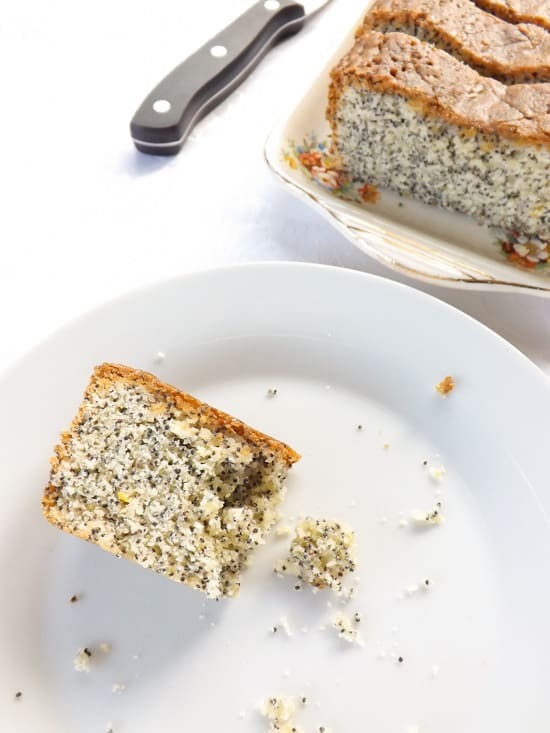 Gently fold in the flour and baking powder until you have a smooth batter, pour in the poppy seeds and give them a quick gentle mix in. Pour the batter into you prepared tin and pop it in your oven for 30 minutes check the cake is baked through by testing it with a toothpick making sure it comes out clean, if it doesn’t give it a few minutes more. If it does come out clean take it out of your oven and leave it to cool in its tin for 5 minutes. While it’s cooling in another small pan heat the sugar and lemon juice until the sugar has dissolved. This cake will keep up to 5 days if kept in an airtight tin. This looks delicious Emma! 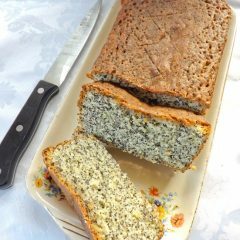 I love lemon treats and have been wanting to try making a lemon poppyseed one for a while! Yours looks incredible – can’t wait to give it a try 🙂 Pinning and hope you have a wonderful week! 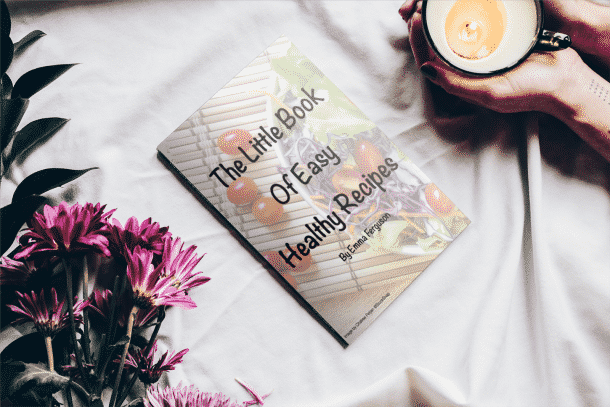 Family recipes are always the best ones! Your mother sounds like an talented baker, and she obviously passed that gene onto you! Hi Brianna family recipes are always the ones that bring a smile to our faces 😀 bringing loads of memories with them. Thanks for your kind words hope you have a good weekend. Love this recipe and just pinned it. Also want to let you know that your heading on this page is HUGE and does not fit on the page. The rest looks fine. 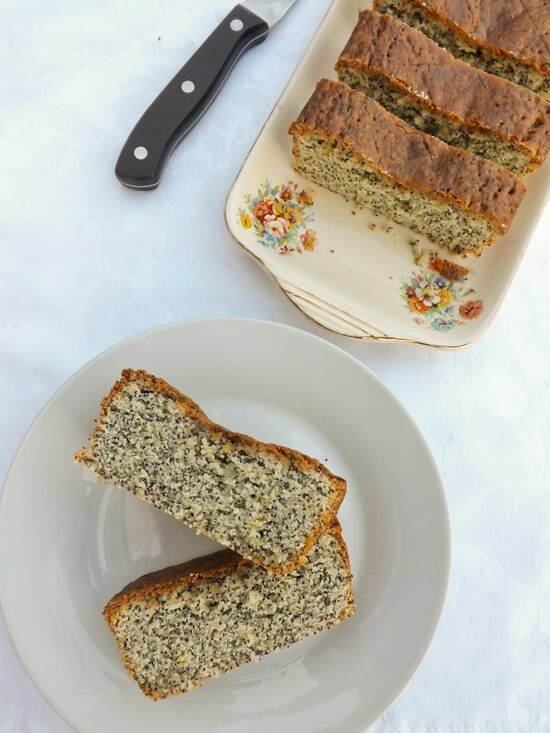 I really like lemon and poppy seeds together. 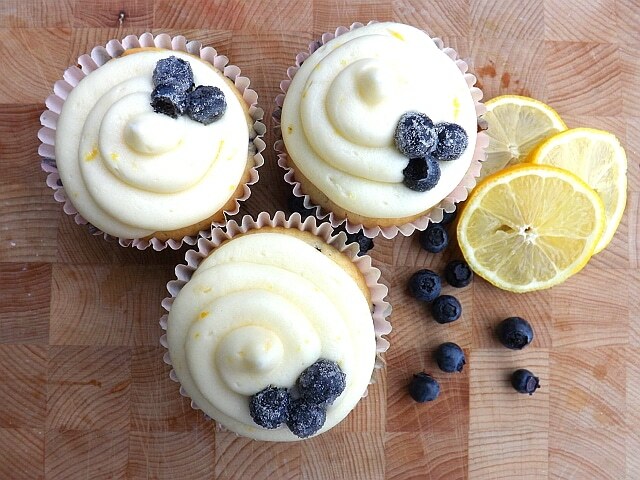 I usually make muffins but I think I like your cake idea! Hi Maureen, I usually make muffins but it really works as a cake.